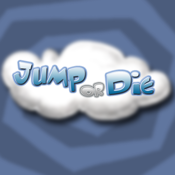 Jump or Die is a platform game with 4 worlds. There are 7 levels to success, new powers to reach (sprint/fly)... Some keys can be taken only with new powers, so you will have to play previous levels again if you want to access to the final level: The Bridge.